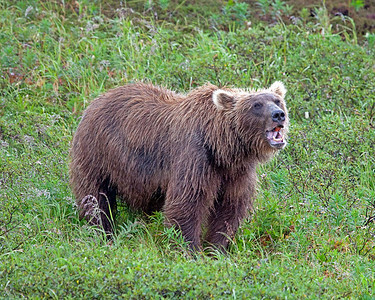 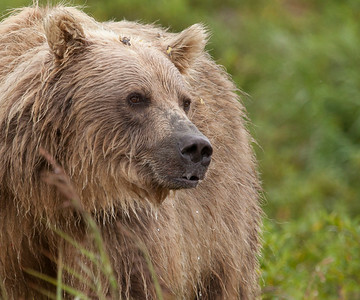 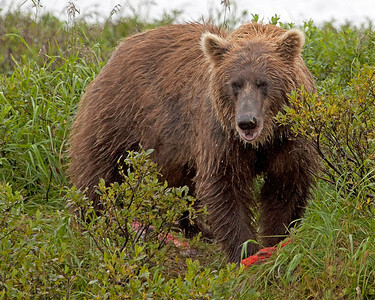 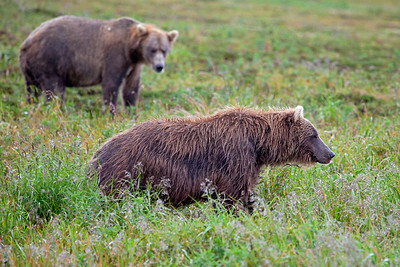 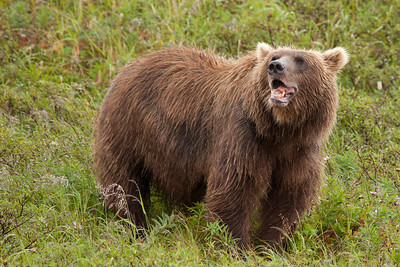 Katmai brown bears can strip a salmon in no time flat! 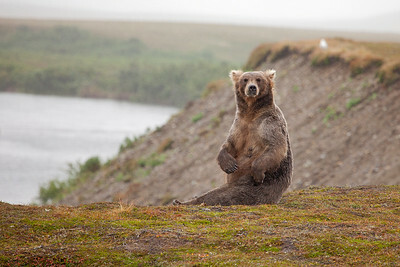 I don’t think she was expecting company for lunch. 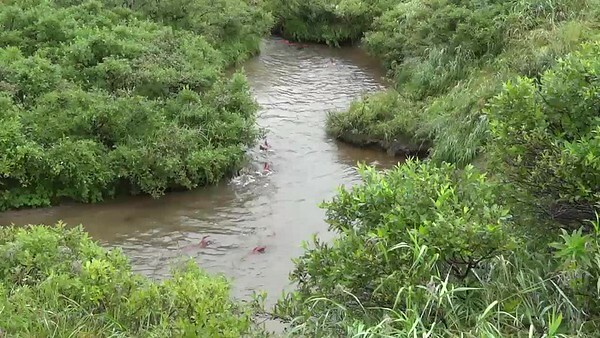 We got a little nervous when this large boar came out of the bushes near us. 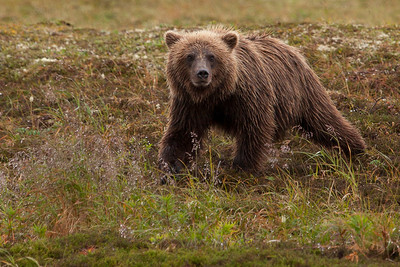 He looked as if he'd been in at least one battle and could easily handle a few photographers. 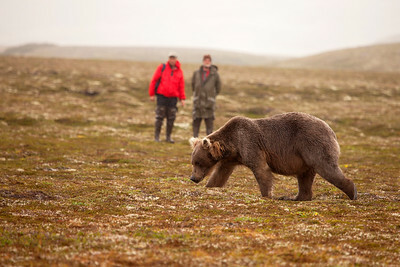 Our guide gathered us together but the bear show no sign of aggression and eventually walked away. 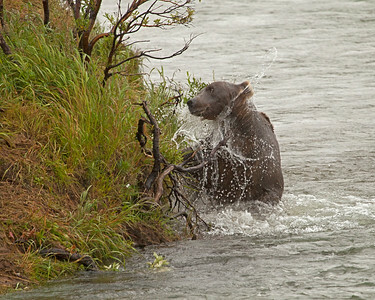 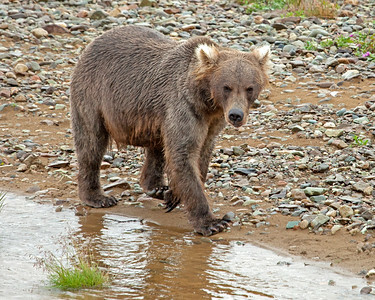 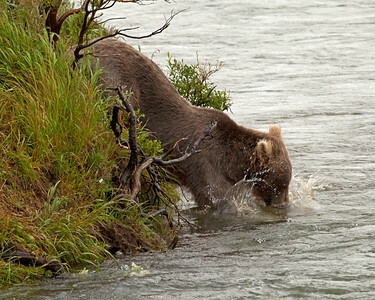 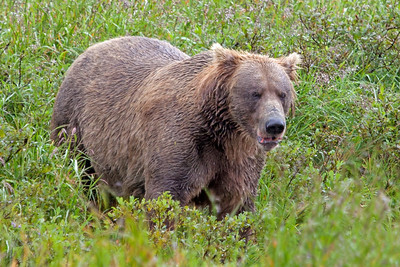 Brown bear walking along the river bed looking for a good fishing spot. 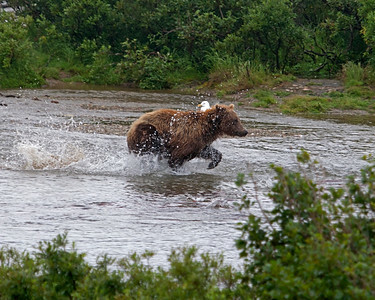 It’s amazing how fast they can move! 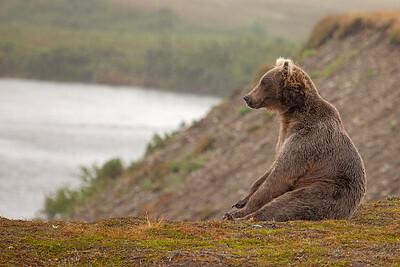 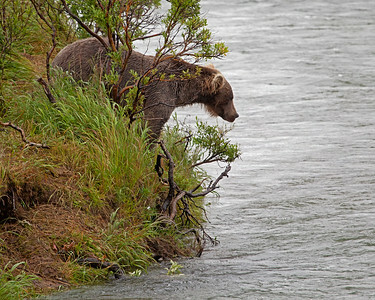 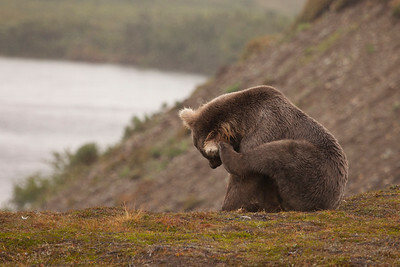 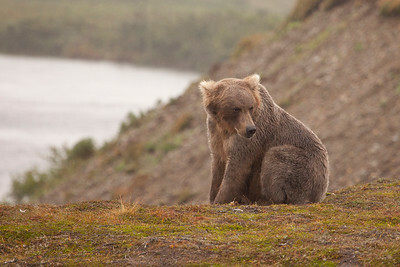 Bear watching in Katmai National Park. 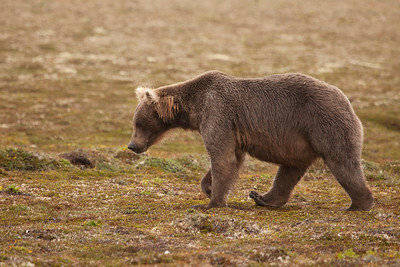 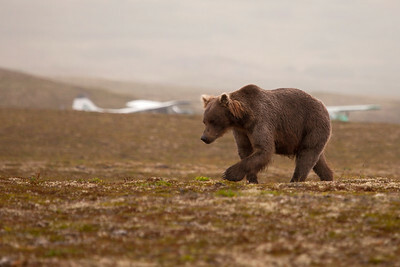 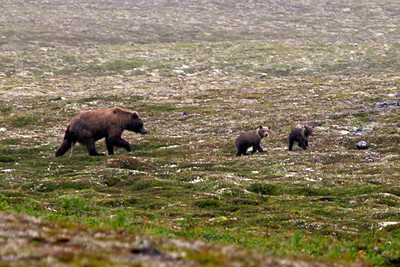 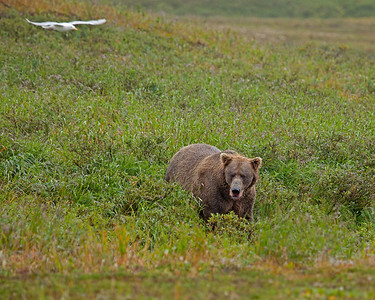 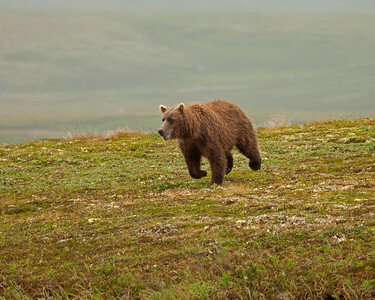 We stopped for this young grizzly bear when he ran in front of our bus on the Denali Hwy.